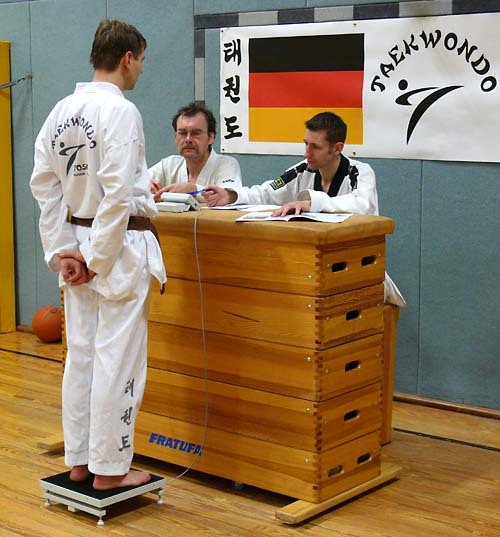 The PCE-PS 200MPC verified sports scale has been specially created for sports competitions and developed in cooperation with organizers of sports events for the accurate establishment of weight categories. 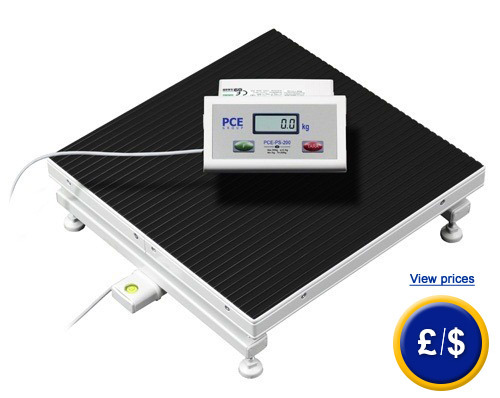 The PCE-PS 200MPC sports scale is a small and functional device. The PCE-PS 200MPC sports scale has a response time of 1 or 2 seconds and determines quickly and safely competitors’ weight. 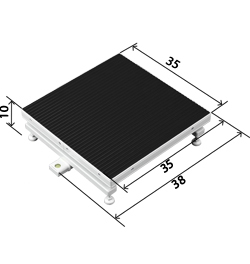 The dimensions of the platform are 35 x 35 cm with rubber adjusting feet to be placed on floor. The weighing pan has been coated with non-skid rubber to provide additional welfare. The two-keys display enables to determine the weight very easy, the hold function is used to freeze the value on the display in order to take note of the weight even when the athlete has got off the scale. The PCE-PS 200MPC sports scale has an internal accumulator which can operate for about 80 h without any electrical connection. The PCE-PS 200MPC scale can also be powered by a mains component included in the delivery which is also used to power the accumulator. The display is connected to the platform via 1.5 m cable. The support of the scale enables easy reading. The PCE-PS 200MPC scale is very compact to be stored inside any sports bag. 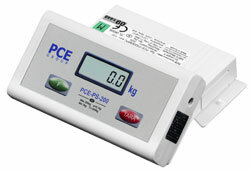 The PCE-PS 200MPC verified sports scale is sent with the verification. The first verification is valid for two years and every other verification must be done annually. Here you can see an overview of all our scales for people. If you have any questions regarding our sports scales, please contact us and our technicians and engineers will be happy to help you find the sports scale that best suits your needs. The kit includes a software for transferring the weighing data to a PC or Portable and RS-232 cable. The transferred data can also be sent to other software such as Excel, etc. The standard software is in English (other languages are available: French, German, etc). The printer is used for direct output of weighing data. It will be delivered with RS-232 cable, USB cable, net adapter and 1 roll of paper. The first verification can be performed only when the scale is ordered. Once an official calibration has been done, the scale cannot be calibrated by means of an external weight. The first verification is valid for 2 years and then annual recalibrations are required.